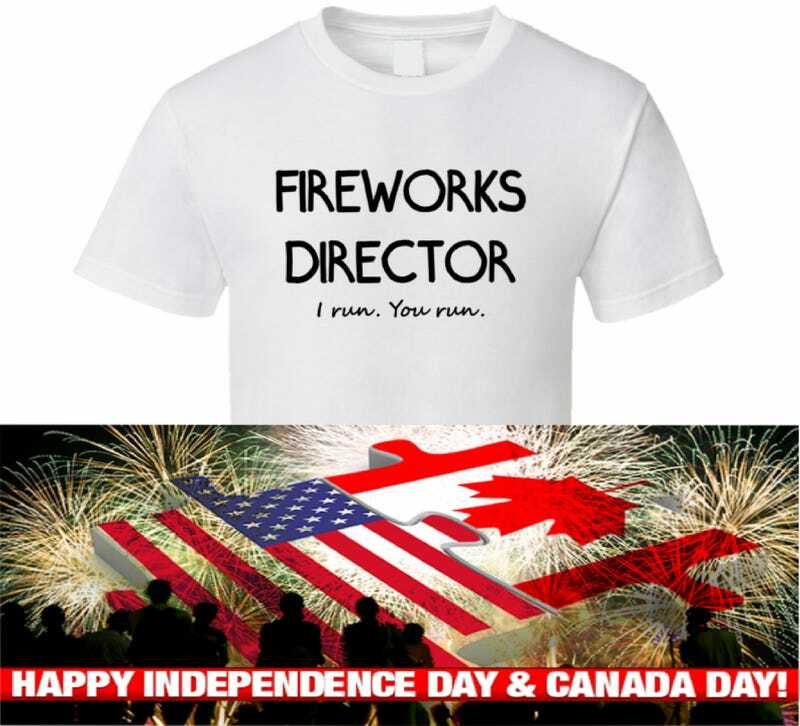 A nice long weekend for the Canadians and the Americans this weekend with Canada’s Birthday on the first of July and America’s Independence Day on the fourth. Anybody else in different countries have a long weekend? My family and I went to Canada’s Wonderland on Friday to see the fireworks. It wasn’t nearly as busy as I thought a theme park would be on Canada Day. Maybe the combination of threatening rain and the idea that theme parks are busy on holidays kept people away (I know the latter kept me away for decades). We were able to hit all the top coasters at the park with very little wait times. Of course, the luck didn’t hold. I think a lot of season ticket holders came at the end of the day just to see the big fireworks. After all the festivities were over, it took us an hour just to get out of the parking lot. So, the lesson for next year is to go on Canada Day for the short lines, but leave BEFORE the fireworks end. Last week was pretty awesome for gaming. I had a “Game Night” with my son to celebrate the end of school and his unbirthday. We do these Game Nights twice a year and the kid is allowed to stay up all night. I think I’ll have to start modifying the event in the future since he no longer falls asleep at some point during the night. He was up for school at 7:30am the day of Game Night but managed to stay up the whole night until 10am the next morning when I finally said we had to sleep. We played a lot of great stuff and started the night with a 2 hour romp in Rock Band 4. However, once we dug in on the other games, it was clear that Pony Island was going to be the highlight of the evening. What a crazy and fantastic experience there is to be had with Pony Island. I don’t want to spoil anything about the game, but it really should be a must play for all gamers. It is a great send-up to retro gaming with good puzzles, fun action sequences, and an extra helping of Satan. Both my son and I had a hilarious time with the game and look forward to revisiting it again to find all the hidden tickets. Pony Island is on sale right now on the Steam Summer Sale and for a few bucks you can have loads of fun. It took us about 2.5 hours to finish, though that’s with missing most of the secrets. After Pony Island was finished we went on to mop up all the missing yarns and smiley flowers in World 2 of Yoshi’s Woolly World. With that done we can finally head to World 3. Now that Xander is off for summer holidays from school, I hope we can put some serious time into completing the game. Truly one of the best times I’ve had on the Wii U. With more of Woolly World completed (and a 2am run to McDonald’s) my son wanted to change things up and play Undertale since many of the Youtubers he frequents have talked about it. I had my reservations as I generally dislike RPGs of this style. I’m sure Undertale has some great storytelling, but the gameplay ultimately falls flat for me. The combat is generally unexciting, though the action window to the encounters is a nice touch. The puzzles and exploration so far have been a little dull, though we’ve just started the actual game after the long intro portion. However, if the intro portion is indicative of the rest of the game, I’m in no hurry to return to it. After two hours of Undertale, and it not meeting my son’s expectations, we decided to play Octodad: Dadliest Catch. This was the first time for both of us playing the game and it is more fun than it has any right to be. At its heart it is one of those “fun with physics games” that are usually entertaining for a bit but grow tiresome rather quickly. Octodad: Dadliest Catch not only manages to remain fun but I found myself wanting to keep playing to see what happened next. The controls are wacky, but of course that is the core of the game, and you become surprisingly adept at moving around (especially with a controller). However, it is the great visual style and cute story that turns what could have been a 20 minute forgettable physics game into a fully fleshed out experience. My son and I haven’t finished the game yet, but I’ve heard it isn’t all that long and I’m sure we’ll get back to it this weekend. It was 9am when we ended up quitting and I had to grab some food and then some sleep. The rest of last week for my solo gaming was all inFAMOUS: Second Son as I finally started it (and ended up finishing it). I’m sure I’ve mentioned before how much I love inFAMOUS, I think it is one of the main pillars in Sony’s house of gaming and is definitely one of the main reasons I’m buying Sony’s hardware. They are just such a joy to control and the gameplay is always interesting. Second Son raises the ante with a vast array of new powers to play with and new gameplay opportunities that these powers provide. The increase in the visual fidelity of the engine moved over to the PS4 is very impressive. The cutscenes are particularly well done and the new facial capturing is some of the best I’ve seen. The way the skin moves and wrinkles is particularly detailed and exceptionally lifelike. This animation, combined with the superb acting and dialogue, is clearly done with care to give a great sense of life to these new characters. inFAMOUS always had great writing and characters, but I feel like this time the buddy comedy works even better. The writing had me laughing out loud at times but also managed to have me choked up at other points in the story. It is always nice to see such well developed characters in games. I found the new side missions in Second Son interesting and fun to play, though I could have probably done without the spray painting minigame. I get that spray painting is part of the main character’s persona and the images you made were cool, but I felt like there was some missed opportunities here. There is no skill involved in the painting and it really isn’t that fun to pull off. I would have liked to see some more control over the painting with possibly a rating system for the player regarding splatters, overspray, and drips in the art. The biggest problem is that the art you do isn’t actually the artwork that ends up on the wall. So if I’m not actually creating graffiti, then don’t make me do a boring mini-game at all. The main missions are exciting with great tasks and stories attached to them. I liked that the acquisition of new ability skill trees are integrated well into the story and make for some great gameplay situations. inFAMOUS is one of the best superhero simulators on the market and it is nice to have the series essentially rebooted on the PS4. You don’t have to have experience with the previous games in the series to partake of Second Son. My one complaint is (of course) the difficulty. This has been a big issue for me with inFAMOUS as a series. The games are just too damn easy. I played on Expert (the highest difficulty) and had no trouble with the game at all. The developers, Sucker Punch, should try to tackle this problem at some point. I think not revealing the location of the power-up shards on the map would go a long way to making the game tougher and the players exploration skills more critical. The shards make noise when near, so you could easily take them off the map on the highest difficulties. Overall though, I was in heaven with Second Son. I completed every task in the game as I did with the other inFAMOUS games (and rarely do in other open world games). I have the Paper Trail DLC left to do, but the negative reviews around it have me in no rush to complete that. Did anyone here like the Paper Trail DLC? If you own a PS4 you really should give inFAMOUS: Second Son a shot if you haven’t already. It is cheap now on PSN and, in my opinion, is one of the best video game franchises for Sony’s consoles. So, I have to pick a new game this long weekend to play. I might finally dive in to Fallout: New Vegas once I figure out how to mod it up. My son and I will hopefully knock off Octodad and my wife and I will see a return to Uncharted: Drake’s Fortune now that we’ve finished off Orange Is The New Black season 4 (which was great). What are you playing this long weekend?